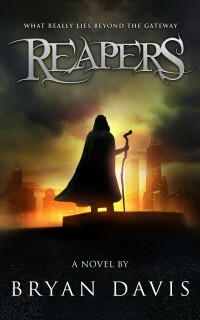 A few weeks ago, I began posting the sequel to Reapers, tentatively entitled Beyond the Gateway. You can read Part One here, Part Two here, Part Three here, and Part Four here. In this section I finished preparation for Phoenix’s journey. Unfortunately, the instructions Alex provided became a bit tedious, so I will have to work on that. I am likely revealing too much at this point and should shorten it. The prose is also somewhat mundane, so I will have to add some spark. In addition, I have written pretty far past this point, and it is clear to me that I will have to return to this portion to add some foreshadowing to set up later events. This is all part of my usual storytelling method. Create the story as I write, knowing that I will return to add, subtract, and polish. Although this section will change, I think there is value in posting an early draft that still requires quite a bit of work. Those who write by the seat of the pants can relate. I write enough to move the story along, but I know that it is lacking and will need a good deal of polish. Since I am getting to a portion of the story that needs so much work, this is likely the last section I will post for the Tuesday story development feature on the blog, at least for a while. Maybe when the early portions are at a better stage of polishing, I will continue. “I’m guessing checkpoints aren’t the only obstacles,” I said. Mr. Davis, do you have any idea when this sequel will be published? I am hoping this summer.